TFP says it will be launching its range of next generation surfacing and adhesive support veils at JEC. Technical Fibre Products (TFP) says it will be launching its range of next generation surfacing and adhesive support veils at JEC World, taking place in Paris, France, in March. 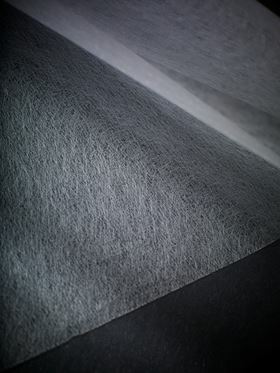 The veils are made from a range of different fiber types, including micro denier polyester and Kuraray’s WRAMP fiber (a polyester-polyamide hybrid). The microfibers reportedly have a finer diameter than the company’s standard polyester products, measuring 4 and 5 µm compared to 12 and 7 µm respectively so there is more fibers per gram of material – nearly 18 million fibers versus 2 million in TFP’s standard polyester nonwovens. The fiber structure has also been improved to deliver a uniform wet out of adhesive, helping ensure a defined and consistent film thickness, as well as improving the resilience and handling of the final product. This story uses material from TFP, with editorial changes made by Materials Today. The views expressed in this article do not necessarily represent those of Elsevier. Technical Fibre Products has launched a new variant of its Supacool range of lightweight cryogenic tissues.